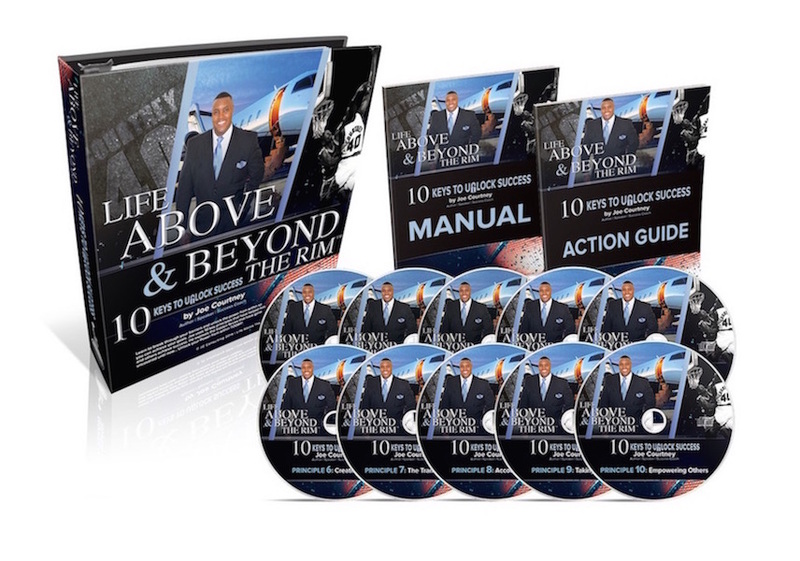 10 COACHING VIDEOS: Each video is Joe coaching himself on each principle and includes readings from the best selling book of each principle and their meanings. 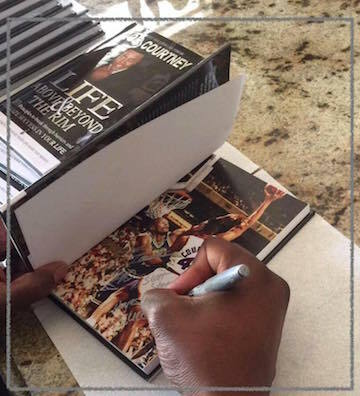 SIGNED PERSONALLY: Joe will sign the book personally to you or a loved one on a color action shot of Joe Courtney while playing in the NBA. Note: Please put the name you want it signed to. 295 PAGE REVIEW MANUAL: If you prefer reading and take notes after going through the course, the manual allows you to go right to the area youre looking for and review. 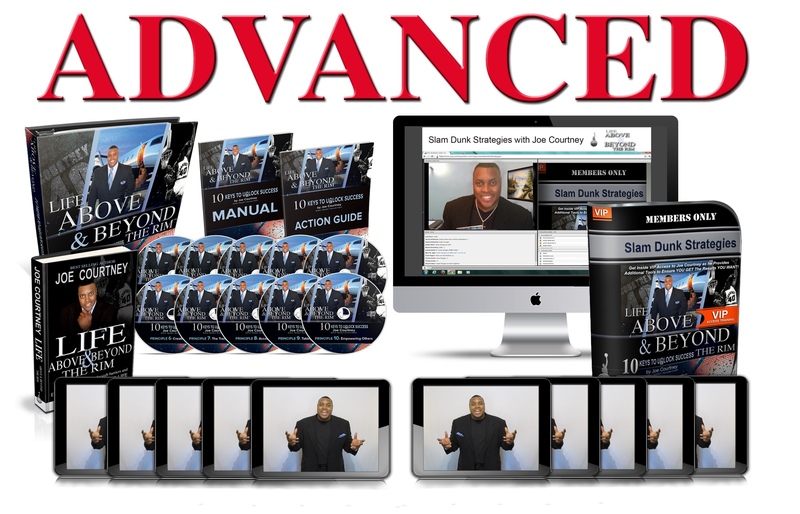 60 PAGE STEP BY STEP ACTION GUIDE: An Action guide that allows you to tke imediate action and impliment the Program right away by following the step by step questions and excersices. 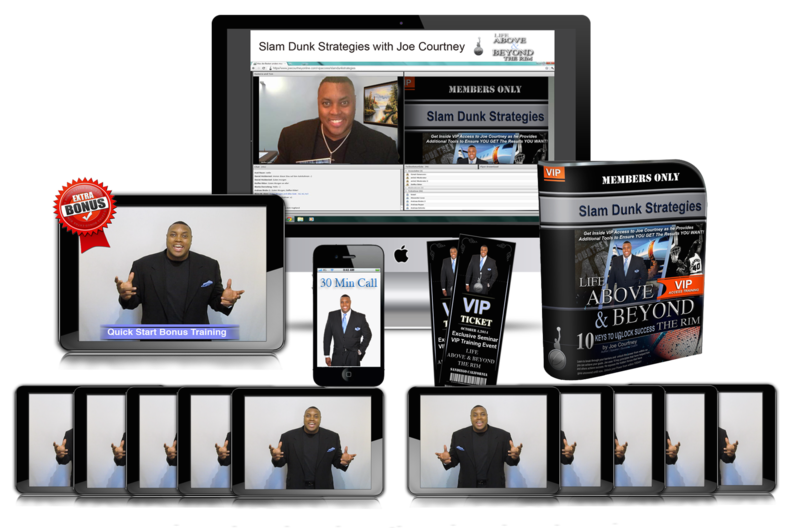 Ultimate Coaching System to help You Create a Business and Life You Love!